← OMG… It’s Up! How Did That Happen? What do you get when you cross a snowman with a vampire? Frostbite! We don’t do much on Facebook but we keep the account so we can see the grandkids, or in this case, the great grandkids, in action. 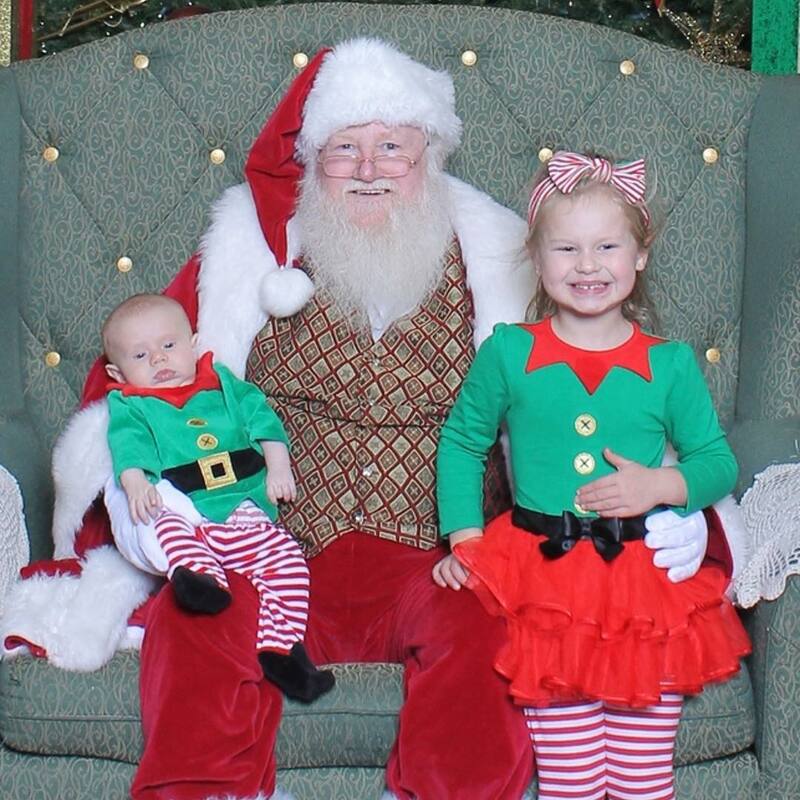 Santa has Remy and Lilliana in this picture and we bet Lilly has bent his ear! We understand that Zack has a matching costume but somehow the camera ran out of film! Oops! 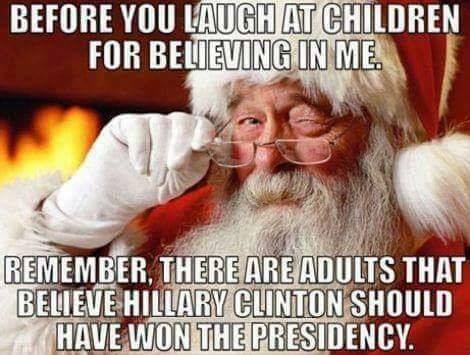 Can’t use that excuse any more! Did You Know? Lithotripsy is a medical procedure involving the physical destruction of hardened masses like kidney stones or gallstones. The term is derived from the Greek words meaning “breaking (or pulverizing) stones” (litho”). ESWL was first used on kidney stones in 1980, and is also applied to gallstones and pancreatic stones. External shockwaves are focused and pulverize the stone which is located by imaging. The first shockwave lithotriptor approved for human use was the Dornier HM3 (human model 3) derived from a device used for testing aerospace parts. Second generation devices used piezoelectric or electromagnetic generators. American Urological Association guidelines consider ESWL a potential primary treatment for stones between 4 mm and 2 cm. I was watching TV in the waiting room and frankly, the world and many women in it are disgusting. 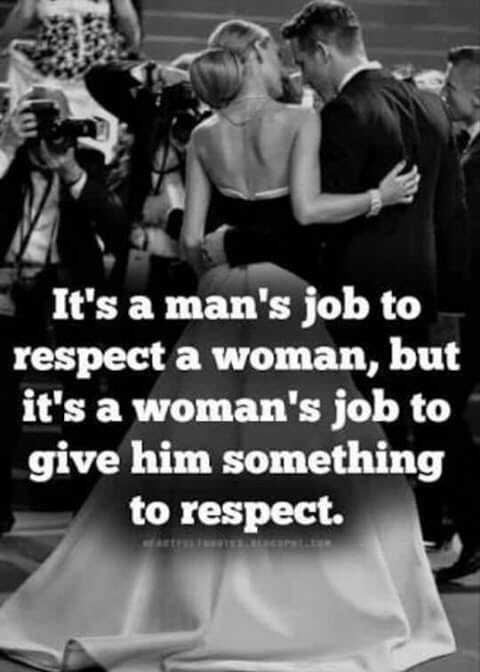 I was brought up by my father to respect women and treat them properly but when you see them on TV with everything hanging out acting not lady-like, it’s no wonder there are problems in todays society. Bring back the 1950’s when women were women and men were men! She was out of the hospital by 10:30 AM and at home. Time for lunch and a little rest before heading to doctor #2 today. We get the EEG results at 1:45 PM in Long Beach! We had two hours…too short to nap…too long to do anything but wait! Christmas Memory #21: I Made It To The Big Time! When I began working I did what my father taught me…put in 110% every day and it will pay off. I did just that when I joined North American Aviation (NAA) in the 1960’s. I volunteered for anything and everything…did the jobs no one else wanted and did them well…and took on some tasks people never thought of doing. I was rewarded with my “Black Badge”, a member of supervision! Wow! I learned a lot aling the way….like I always volunteered to take minutes at the meetings. I was criticised by my “seniors” because that was a secretaries job… He he he, these old geezers didn’t realize that, whein reason, I could manpulate the meeting results as I saw fit. Change an action item here, emphasize a discussion there, go into depth on issues I like, gloss of the BS…I made an art out of minutes! 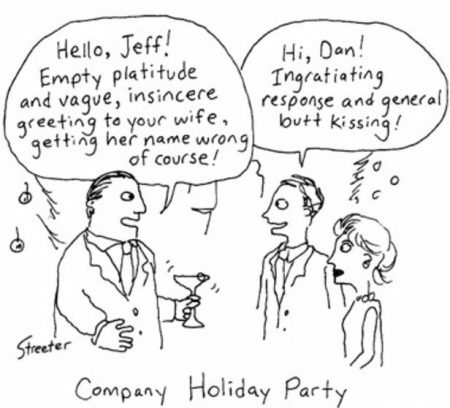 Working hard, I progressed as a Senior Project Engineer in 1973 (just seven years after joining the company and at a ripe old age of 29) which was the equivalent of a full manager in the NAA/Rockwell pecking order and one of the perks was to be asked to the company Christmas Party…a pretty elaborate affaire! I’m runin’ with the Big Dogs now. George Jeffs, Charlie Feltz, Don Beall, Dutch Kindleberger, Sy Rubenstein, Ed Smith, etc. The first party I went to was held at Inglewood Park Racetrack in the executive suites…three miles above the track, or it seemed. I got by best suit on and headed to the party. I remember to this day Ben Boykin playing the bass. Ben was the Chief Vehicle Project Engineer. I worked for Charlie Helms who was the Chief Change Project Engineer…Charlie, as I recall, came for a few minutes to the party as he was a devoute Baptist and was not confortable around liquor…me on the otherhand, well…you know! It was a wonderful affaire and we went to the company Christmas Parties for close to 30 years only stopping in the 2000’s as Sue and I did not like a lot of the Boeing people and decided we would stay home and enjoy an evening dancing with friends. Cultures change but the years with NAA/Rockwell and first few with Boeing were great memories. The results of the EEG were perfect…no problems detected so the issue with the DMV is moot. Yeah!! After the doctor, we stopped off at the pharmacy and then to AAA for some data we needed. Finally home…time to rest! It was early so Sue suggested we go to the movies and see “Mary Poppins”. Nice movie and wonderful special effects. We went to Huntington Beach and sat in the nice seats. We even stopped at the Japanese restaurant near the theater entrance and had a glass of wine. Summary? 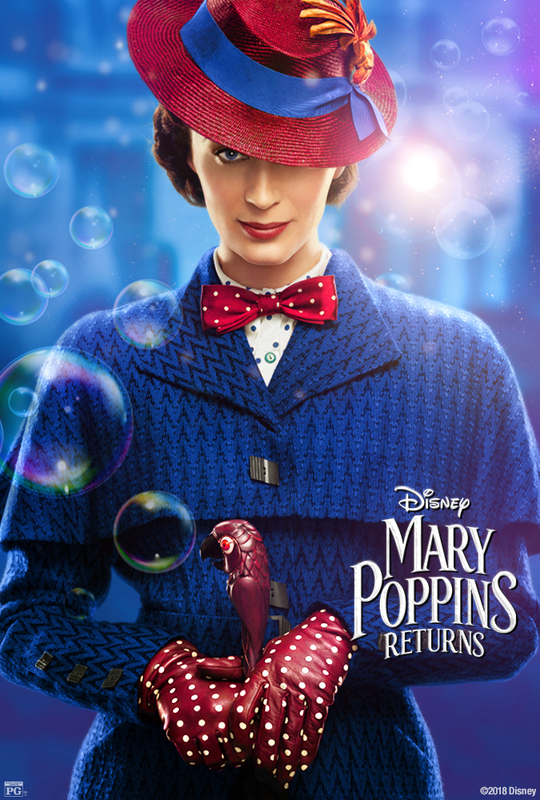 Decades after her original visit, the magical nanny returns to help the Banks siblings and Michael’s children through a difficult time in their lives. 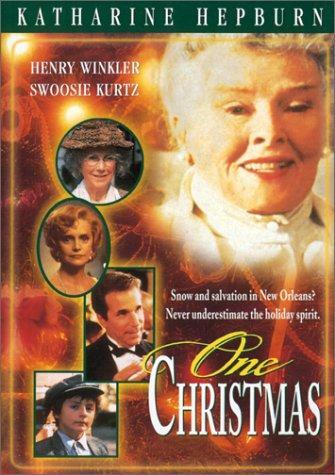 Upon returning home we watched “One Christmas” with Kathrine Hepburn. A young man is sent to visit his estranged father for Christmas in 1930 in New Orleans. Based on an autobiograhical short story by Truman Capote. Hepburn famously shunned the Hollywood publicity machine, and refused to conform to society’s expectations of women. She was outspoken, assertive, athletic, and wore trousers before it was fashionable for women to do so. She was briefly married as a young woman, but thereafter lived independently. A 26-year affair with her co-star Spencer Tracy was hidden from the public. With her unconventional lifestyle and the independent characters she brought to the screen, Hepburn epitomized the “modern woman” in the 20th-century United States, and is remembered as an important cultural figure. I know why my mom like her so much! We did one NCIS New Orleans after the movie and crashed as I have to be at the Honda dealer at 7:00 AM for a checkup! This entry was posted in Just Us and tagged Doctor, Los Alamitos Medical Center. Bookmark the permalink.